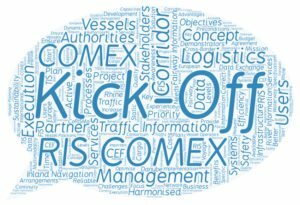 The kick-off meeting of RIS COMEX takes place on the 17th and 18th of January 2017 in Berlin, hosted by the Federal Ministry of Transport and Digital Infrastructure of Germany. Participants are the Beneficiaries and implementing bodies building the project consortium as well as representatives of the European Commission. Main goal of the Kick-Off meeting is to establish the project Steering Committee, to agree on the RIS COMEX Master Plan featuring the final Corridor Service List as the starting point for the work within activity 2, and to generally introduce the project highlights and the detailed Work Programme.